Where we grow your success! SpringBoard TM referred Andy a job and his employer now wants more! In the last 1- 2months, we have seen the hiring window open, as we rightly predicted few months ago. “Musical chairs rotation” is in full swing, post bonus payout, as many SpringBoard friends resigned to move to other banks; while many SpringBoard interns – despite having zero relevant working experience- are going for multiple interviews lately. Here, we wish to share a recent success story from our referral in Aug 2013, how the employer is so pleased with our referral that they have come back asking for more! Andy came to know about us at CFA Xmas party in 2012 and regularly attended our networking/ knowledge sharing events. He saw value in our Mentorship platform and signed up for our Foundation stage in April 2013, was placed in the good hands of our star mentor Jessie– a PE fund manager. His positive learning attitude, humility and good quality of work won praises from Jessie, and upon our encouragement, he progressed to Advanced stage within 2mths, where he was given more learning opportunities. His path was not all smooth-sailing, and many of his job applications failed to get any response from employers. He was however undeterred and continued to put in more effort on the assignments from SpringBoard. In our first Research Challenge- stock pitch competition in Dec 2013, Andy came in runner up, and was commended to be one of the better presenters by our special guest, who was in the process of launching his fund. Andy was also awarded CFA charter few months ago. Through our private contacts, we sent Andy to an interview with a family office with strong financial backing. He conducted himself very well at the interview, and impressed the hiring manager with his good industry knowledge and nice samples of the work he did for Yoman and Jessie. Thereafter, he was interviewed a few times by the other key partners of the family office, and given trial assignments to complete, as part of the live work done by the family office. Finally, after numerous months of “courtship” on both sides, Andy has started work with the family office full-time. We are all very happy for him and wish him all the best in his new role. 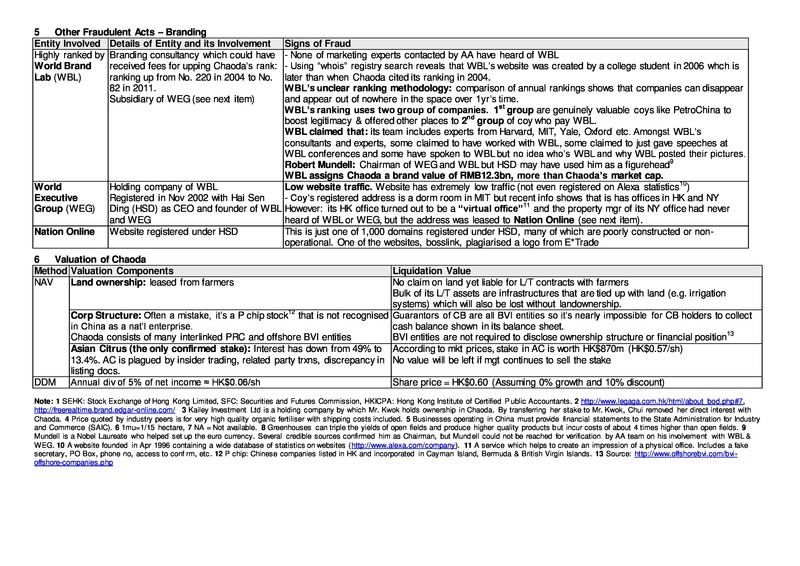 (2) a short investment summary- up to 4 pages- of a consumer stock you have looked at previously, for our SpringBoard mentors to gauge your understanding of a consumer company. Please send us your application ASAP. Your reply email to springboard@scholarsvillage.com should include the job code SB2014A in the subject. We will only refer candidates whom we find suitable. Please feel free to forward our message to your friends. SpringBoard TM is a mentoring platform for passionate people to move into challenging and rewarding front office roles in the finance industry. Our Mentorship Program is complemented with job referrals, profile enhancement and networking platforms, so that unlike academic programs, we are more confident of helping deserving apprentices secure tangible opportunities in the front office. Our jobs referral platform involves our partners securing for our apprentices opportunities in the front office, which are mostly of private referral in nature and not advertised elsewhere. In certain special circumstances, we may even secure opportunities with priority or exclusivity offered to SpringBoard interns and apprentices on the Mentorship Program. Time flies… and Chinese New Year is round the corner once again. Without us realising it, SpringBoard is now 4 years old! Come to think of it, Yoman and I–both of us ex-colleagues in the civil service– came together to launch SpringBoard formally in Nov 2009. Actually, prior to the formal launch, Yoman informally roped in some of his CFA students (when he was an instructor with CFA Singapore) to work on assignments from him for a learning opportunity. Below are the testimonials from KM- Private Equity Analyst- and IZ- Private Investor. We have come a long way from there…from the “work for Yoman for free in return for a learning opportunity” to today’s structured curriculum in equity research and strong suite of mentors along various tracks. Over these years, we have consistently nurtured success stories and it is indeed these success stories (https://springboardtm.wordpress.com/category/success-stories/) that speak for ourselves. We also wish to take this opportunity to share our latest tracks (see our attached factsheet). We have newly added an Investment Banking track, thanks to an industry veteran who shares similar aspirations with us and is willing to help us nurture aspiring candidates. Wish you a healthy and prosperous Chinese New Year! Getting into a front office finance role is never an easy task, but the good news is that we have some people around who can help guide you in your journey. According to me, one such person is Yoman who not only has a vast industry knowledge to share but is also willing to share his experiences and help mentor fresh blood. I have personally gained a lot through my association with Yoman and was one of his early interns. I initially started with doing assignments for Yoman that required company fundamental analysis, followed by summarizing articles related to economics and asset management industry. After graduating from this, I was tasked with attending IPO roadshows that gave me an overall understanding of the equity capital raising exercise. These were all very valuable experiences, something that cannot be taught in any classroom setting. All this helped me in my journey towards a successful break in Asset Management Industry. While some people find Yoman as a tough (and sometimes eccentric) in his mentoring approach, I believe that you need this kind of attitude to succeed in this tough industry. At the end, the technical finance knowledge is not enough to get you the dream job in this industry, its the perseverance to survive tough/stressful interviews that eventually gets you through. These are some the skills that one can expect to pick up interning under Yoman. While I was not associated with Springboard during my journey, Yoman along with others at Springboard are taking this unique experiential training to a wider audience group and I am hopeful that there will be many more success stories, similar to mine, coming out of Springboard umbrella in 2014! I started off with taking CFA to increase my knowledge about the financial industry back in 2009H2. From there I get to know Yoman, who was then the mentor of my CFA class. During our classes, Yoman will share with us his experience as a fund manager. Sensing my strong passion and curiosity, Yoman was keen to share even more with me. He mentioned that he would coach some of his students with coming up with a simple summarized comparable analyst, valuation from various research analyst and attending IPO lunches (Fund managers would come together for those lunches and throw questions at the IPO listing companies). I was told back then that coaching is given to selected few and datelines are imposed to make the assignment as realistic as possible. After submission Yoman would spend time going through their assignments and point-out their weak points. Being someone who loves such challenges, request a spot in his program, and he was kind enough to let me in. I was under his kind guidance for 3-4 months indeed was an eye opener for me. I went on to take a break for my CFA exam, after which I reapplied for the program again in 2010H2. Shortly after, I switch role from a retail sales dealer to take on a more analytical role as an investment officer in a local investment holding company one which require more of my time at work and no longer able to assist Yoman. Till this day, I truly felt I learnt a lot from Yoman, and I still feel that there are plenty that I can still learn from him. I’m proud to be a pioneer in his program and hopefully I can continue to learn from him if such opportunity arises. Hi all, as we head into the festive period round the corner, we wish to share with you recent success stories on our SpringBoard TM platform; some others on our Advanced track are also in the final stages of their interview process. We are now taking our Mentorship platform to the next level. We just organised our inaugural Research Challenge (stock pitch) competition, where a hiring manager was present to assess the competition and their suitability for his job openings. We will provide more exciting details when we circulate our year end mailer. Meanwhile, let our stories inspire you. Sharon comes from a finance background and was working in a compliance and regulatory role. In June, she began the Foundation track mentored by AKY, an equity analyst at a regional institutional broker. He had come from a similar unrelated background, and possessed a very unique set of quantitative skills earned from hard work. She found AKY’s mentoring to be tough but rewarding – among other things, he expected each assignment to be completed weekly, in preparation for what would happen on the job. 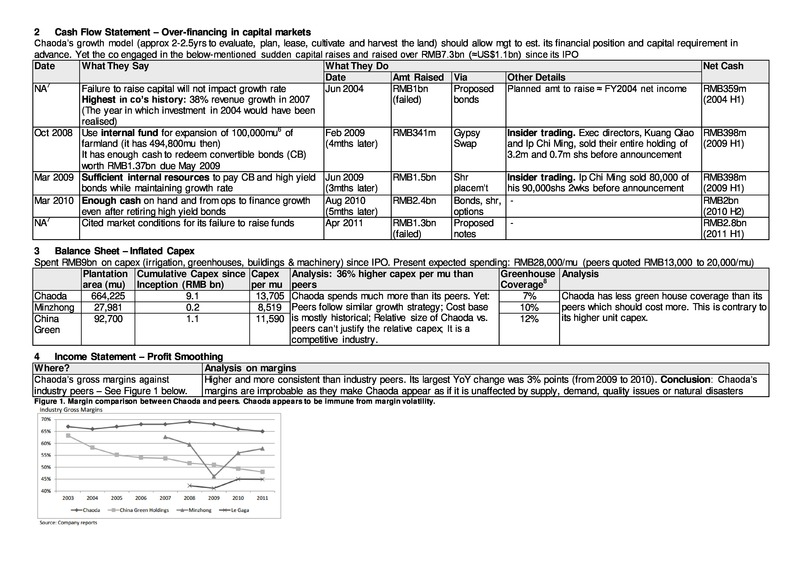 Her financial model was grilled by AKY many times, and many corrections were made before arriving at a working model. As an extracurricular activity, she felt that it was even more gruelling than studying for the CFA. As the job market heated up in August, AKY urged her to apply for jobs although she felt she was not prepared, only having recently completed the last assignment in the Foundation track. As luck would have it, she was accepted for a research analyst position on the sell side. Despite her lack of industry experience, the hiring manager was impressed by the level of commitment demonstrated by going for a Springboard mentorship and taking the CFA. Now she wishes she could have spent much more time on her Foundation track assignments! We met Ashley at CFA Arts appreciation event in 2012Q3 and saw her enthusiasm in trying different things in life. Back then, she was busy preparing to showcase her paintings at her own Art exhibition- an important achievement in her life. She is a very passionate lady: she attended some other financial modelling courses from leading institutions on the street and attended a couple of networking events organised by CFA Singapore and SpringBoard. She went for job interviews regularly, some via referral from private contacts, but somehow just couldn’t receive the offer for one reason or another. She finally came under SpringBoard Mentorship Programme in July 2013, and under the good guidance of Don, she showed significant progress in her skillset and also polished her interview skills, thanks to interview tips from Don. Her job search picked up momentum in the summer months of 2013. Luck was initially not on her side when she lost in final round of interviews due to language issues-> one PE firm preferred someone fluent in Bahasa Indonesia; another PE firm preferred someone strong with the Chinese language. Nevertheless, she persevered and under strong encouragement from Don and Yoman, she was selected for multiple interviews in various buy-side and sell-side firms. With lots of perseverance, she finally started in Oct 2013 as an associate in Investment banking unit of a regional bank, and is now having the life of an investment banker. That implies she did career switch within 3 months into our Mentorship Programme. We are all very happy for Ashley and wish her all the best in her new role. Kevin first came to inaugural SpringBoard event in Dec 2009, when Eng Yew and Yoman first launched the Equity Research Program. The selection process was highly competitive, and he failed to make the cut. Back then, he was in the back-office of an insurance company and still struggling with CFA Level 2 exam. Despite challenges hitting him from all directions – personal, career and failing the CFA exam, he pushed ahead with sheer grit. He took up numerous other courses to polish his skill sets, regularly attended networking events by CFA Singapore and SpringBoard, and eventually cleared all 3 levels of the CFA Program. In Apr 2013, he signed up for SpringBoard Mentorship Program and was placed in the good hands of Jessie, PE Fund Manager, to learn how to value an IPO company. He learnt well and progressed to Advanced track, doing some outsourced research work for SpringBoard partners – Fund Managers / Analysts in the industry. Despite being perceived as a slow learner, he possessed some special qualities – intellectual curiosity, passion for learning, humility, and impressive determination. After years of perseverance and with the aid of exceptional Mentors, he finally secured an entry level front office role in a private bank. This is a perfect example of how one can still do a career switch despite being a slow learner; the X-factors are passion for learning, perseverance and determination! It is always heartening to hear success stories on our platform. You can write to springboard@scholarsvillage.com or just reply to me directly. SpringBoard latest success stories; how we see the job market? In our previous SpringBoard mailer, we featured two success stories of Wilson and RT (from Advanced track), and Willie from an earlier batch of SpringBoard apprentices. This time, we will feature Darren and LQ (from Foundation track), who have successfully switched careers. We first got to know Darren in mid 2012 at one of our SpringBoard knowledge sharing sessions, where investment professionals came to share their career path into the finance industry. Darren graduated from an Australian university with Finance Degree and was in middle office of a global investment bank. He came for a few of our focus group sessions and we could sense a keen learning spirit in him, in line with Yoman’s slogan “Continue Learning and Keep On Networking”. Darren aspires to be an investor specialised in trading, and signed up in April this year for our Mentorship Programme under Mondy- a proprietary trader- to develop himself the trading skillset. Mondy sought to instill in Darren the key attribute of discipline in traders and asked Darren to make it a point to work on an assignment- to be submitted on a daily basis. This is similar to the daily process (being part of the team’s investment process) that Yoman was asked to perform when he first joined the investment industry. True, it might be as mundane and simple as updating a few spreadsheets or scripts, yet it is one of the crucial building blocks to becoming a great trader one day. Discipline is a rare quality, which is exactly why there are not too many great traders around. Darren initially lost a bit of focus but subsequently made up for it and proved himself to be worthy of SpringBoard’s efforts. As an apprentice on SpringBoard Foundation track, Darren already demonstrated some key qualities required of our Advanced track interns. That was why he was called up for multiple interviews with various global investment banks during this period. Eventually, his persistence and perseverance paid off when he informed us that he has officially started as an assistant trader with another global investment bank. We are all very happy for him and wish him all the best in his new role. LQ comes from an IT background and now moving into his new role in corporate finance. In June, he signed up for Springboard Mentorship Programme under Foundation track and was mentored by DS, a market veteran from a global sell side house. According to DS, LQ is a strong learner, possess strong self-initiative and is very enthusiastic about researching into company’s financial, which can be demonstrated from his sample research work into a Thai based media company. He was very committed and was able to produce quality research work in a very limited period of time. We simply see the desired traits of success in LQ – Passion and Commitment! The above leads us to believe that there is a hiring wave going ON for now, but as usual, opportunities are for those who have sufficiently prepared themselves, such as Darren and LQ from our SpringBoard platform. Furthermore, we have secured job interviews for two other Advanced track interns with a start-up family office in the process of hiring people. As we are all aware, time and tide waits for no man, so be sure to swiftly ride on this hiring wave before year end… if you let this hiring wave slip by, you would probably have to wait till April next year, which is not a good time for those of you busy preparing for CFA exams again. This is worse if you are already past 30yrs old– the soft cut-off age for career switch– so time is even more precious for you. Implications for career switchers: be proactive and give your best shot in our assignments to benefit fully from our Advanced track mentorship. All the best in your job search. Founded in 2009 by fund manager Yoman and career coach Eng Yew, SpringBoard TM is a mentoring platform for passionate people to move into challenging and rewarding front office roles in the finance industry. The SpringBoard Mentorship Program is complemented with job referrals, profile enhancement and networking platforms, so that unlike academic programs, we are more confident of helping deserving apprentices secure their front office careers. Since SpringBoard revamped 6months ago, we have grown tremendously and now have about 20 apprentices / interns, and close to 10 mentors. In the past month, we saw momentum pick up considerably with lots of new sign-ups for our Mentorship Programme. How successful are we in nurturing people? As at end April, we had 12 apprentices / interns; with 5 on Advanced track. On our revamped platform, we had two success stories, achieved within 3months into our Programme. This number of success stories implies a success rate of 17% for our entire pool and 40% for our Advanced track interns. In this mailer, we wish to share three success stories: two are from our latest batch and one from last year. We met Wilson at CFA Xmas party in 2012 and saw something really special in him-> enthusiasm, passion and humility. The feeling was mutual and it also became very clear to him that SpringBoard would be a key enabler of his career switch. He signed up on our Foundation track in January and was placed in the good hands of our star mentor Ruishan. He was deeply motivated and by around CNY, he has progressed to the Advanced track of our Mentorship Programme. He demonstrated high adversity quotient when he had to juggle three balls-> his day job, CFA exam preparation classes and also assignments from our Mentorship Programme. Not all was smooth-sailing in his career switch journey and there were many hurdles he had to cross. When the three balls became too many to juggle, he made a bold and decisive decision in late March to quit his day job to focus on CFA exam preparation and our Mentorship Programme. We supported his decision, and we knew not many people out there have such courage, that is a critical success factor in the finance industry. Eventually, his persistence and perseverance paid off when he informed us of his signing contract for his dream job in end April. That implies he did career switch within 3mths into our Mentorship Programme. We are all very happy for him and wish him all the best in his new role. RT learnt about SpringBoard when we did a campus roadshow at SIM Global Education in Nov 2012. He was a second year undergraduate in Economics and Finance with decent academic results and felt that some form of mentorship would propel him toward joining the finance industry. He subsequently signed up for our Mentorship Programme in January and started doing work in his spare time for Springboard partners as well as AKY, our programme/curriculum director. He has demonstrated his capability through his interaction with his springboard mentor and his quality works. Thus before he has even completed his enrolment in his mentorship program, we are very pleased to have found for him a special opportunity to work full-time with a global investment firm during his school vacation. Similarly, this opportunity was sealed within 3mths into our Mentorship Programme. Willie finally made it as buy-side analyst! Willie was from an earlier batch of SpringBoard apprentices, prior to the recent revamp. He learnt about SpringBoard from his good friend Mun Hong, another SpringBoard success story. He is a firm believer of continuous learning and had joined forces with a couple of friends to do equity research based on value investing principles, where the team consists of highly motivated individuals capable of self-learning and with a clear direction in career goals. Yoman found a natural affinity with him and decided to take him on as a special intern, despite his heavy focus on personal goals during 2012. Willie did a short stint under Yoman, while Yoman was working from London office for 2wks. Leveraging onSpringBoard’s internship, Willie temporarily found a contract job with a global investment bank as a sovereign analyst. With continued perseverance and some luck, he eventually found himself a buy-side research role in an investment firm. We can see how birds of the same feather flock together indeed! YJT registered for the SpringBoard Mentorship Program in 2012H2, while she was working in a back-office department of a European bank. We saw high levels of passion in this diligent young lady during her mentorship with us. Despite heavy workload in her full time job, often extending to 8-9pm on weekdays, she was able to submit assignments on time and meet our rigorous expectations. Under guidance from our mentors, she made significant achievements in equity research. 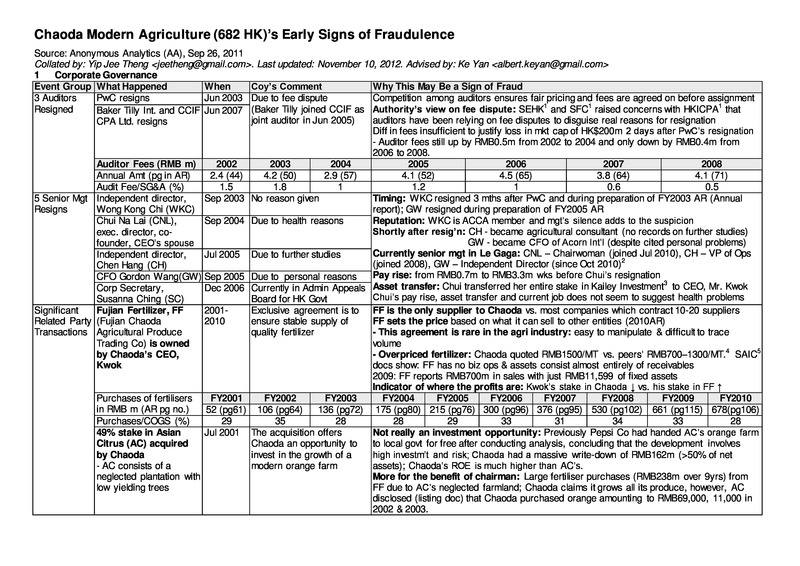 You can read her signature report on Chaoda Modern Agriculture (682 HK)’s Early Signs of Fraudulence here. After many months of hard work, she found herself a role to support investment managers in their investment decision making process at a renowned fund house. During the SpringBoard internship, I wrote article summaries and took down notes at management luncheons. The topics for the articles ranged from Southeast Asian economies to hedge funds and accounting scandals. Doing the summaries required me to distill relevant information from those articles and organise them in a manner that is concise, complete, yet easy to understand. I also learnt the importance of being consistent in presenting my work, yet flexible in thinking of how to organise and communicate information to readers. During the process, my mentor also provided additional insight to supplement my understanding of the topic. I also attended management luncheons to note down key learning points. These events are usually avenues for senior management of companies to seek funding from institutional investors. The presentations gave me an insight into various competitve advantages and key challenges facing companies in industries such as media, healthcare, real estate and technology. After the presentation, analysts will usually raise questions for the seniormanagement. Their questions brought my attention to what analysts focus on when studying companies in different industries. On one occasion, I was given a set of questions to raise during the Q&A session in the presence of about 200 attendees. On the whole, I found the internship an interesting learning experience. I got to know Yoman, the co-founder of SpringBoard TM, and was impressed by his passion and focus. I participated in more SpringBoard events to learn from him. Under his guidance, I attended many IPO management luncheons, where I learnt more about the capital markets. Yoman was a good mentor who not only was patient in explaining the capital markets to me, but also introduced me to some prospective employers along the way. I am thankful that all these experiences set the foundation for me to finally secure my job at a sovereign fund. Luck was not on my side initially, but as a previous SpringBoard success story puts it well, “luck is when preparation meets opportunity.” I am glad I was ready for luck when it came.